Vice-President Yemi Osinbajo is attending the second term inauguration of Kenya’s President Uhuru Kenyatta in Nairobi, Kenya. 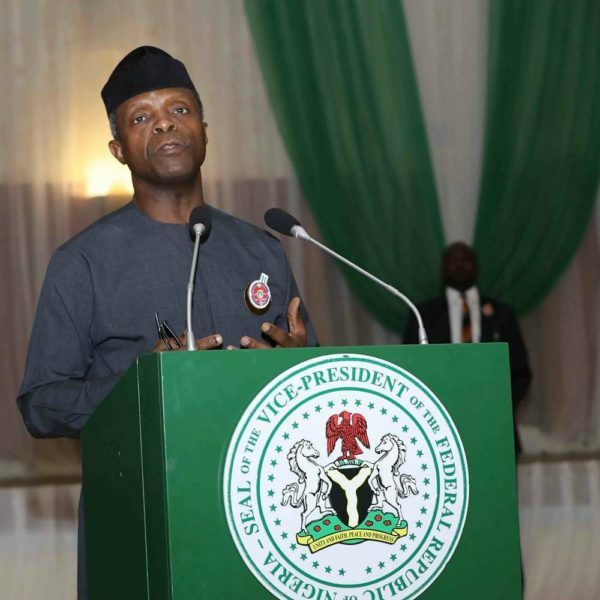 The Vice-President’s Senior Special Assistant on Media and Publicity, Laolu Akande, said Osinbajo would be representing President Muhammadu Buhari at the event. The statement said the Vice President who left Abuja on Monday night, was accompanied by the Foreign Affairs Minister of State, Khadija Ibrahim and he is expected back in Abuja later today. Kenya’s Independent Electoral and Boundaries Commission (IBEC) had returned Kenyatta as winner of the first poll held on August 8, before the country’s Supreme Court annulled the election in September. The annulment followed a petition by opposition opponent, Raila Odinga, who came second in the election. The Supreme Court nullified the election on the grounds of “illegalities and irregularities” and ordered a rerun within 60 days. However, Kenyatta won the rerun presidential election when he scored 7,483,895 votes representing 98.26 per cent. The election was boycotted by Odinga. Kenya’s Independent Electoral and Boundaries Commission Chairman, Wafula Chebukati, announced that the National Super Alliance (NASA) candidate Odinga got only 0.96% of the vote despite his boycott.